Dharavi seems to need little introduction. 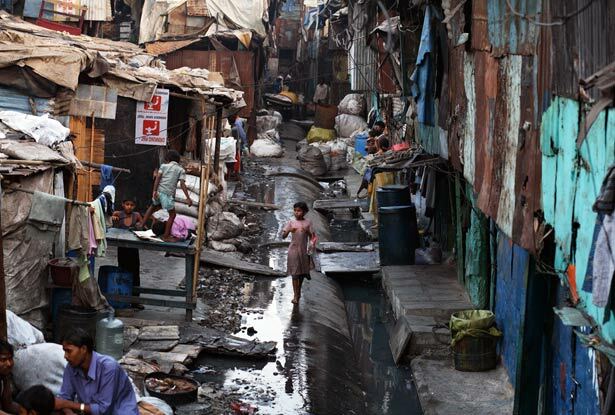 Accommodating approximately one million Indian citizens, the vast slum sits in the heart of Mumbai. No longer simply a residential area – instead an economic hub that exports goods internationally and attracts tourists from across the globe. Development in Action’s Emily Wight, discusses the phenomenon of the “Slum Tour,” which gives sightseers the opportunity to experience Dharavi firsthand. Rob, Florence’s fellow volunteer at Sharana, is now back from a month travelling around India and enjoyed talking to us about it. It reinforced what is being hit home to me every day: the sheer vastness of India. He was away for four weeks and still didn’t really see that much – and what he did see seemed pretty rushed. His favourite place was Varanasi, where he went first; he then visited Delhi, Agra, Rajasthan, Mumbai and spent two weeks in various parts of Goa. He only got to spend two nights in Mumbai; he said we’d need at least four, which is what we’re planning on doing anyway. He did this “Slum Tour” in Mumbai which I was not sure exactly how to react to. It is organised for tourists by slum-dwellers, and the money goes back into the slum (though I would like to know where exactly.) To quash speculation over whether it creates museum objects out of the slum population and encourages voyeurism, tourists aren’t allowed to take cameras. I still felt pretty ambivalent towards the whole idea. No matter whether cameras are involved or not, it still reduces the hardships of others to a tourist attraction, one could say commodifying their suffering. Florence asked, how is it any different to us walking around the residential area down the road from us, as we did the other day, me taking photos of interesting buildings? I found this argument irritating, mainly because I didn’t want to be accused of a voyeurism akin to that I see in these “Slum Tours”. We live in this area, I said. We were just taking a walk. But they don’t know that, do they, Florence said. To the locals we were just more white tourists with cameras. But it’s not a slum. It’ not packaged up and sold to tourists, not commodified for its sensationalist value. It’s just a normal area we walk through, just like any other part of Pondi. I’d read before coming to India that the slums of Mumbai exist largely due to a lack of accommodation rather than destitution; many inhabitants are employed and in fact 60% of the city’s police force live in slums. Florence reminded me of this, that the sensationalist label many attribute to slums is in fact perhaps hollow. A slum is simply an area in which people live, and to visit it would just be a microcosm of a more general tourism – to see how others live. What are any tourists in India doing, if not that? What are we doing here, at least after our placements, if not that? The notion that my enthusiasm to discover another place and culture could be comparable to something as brazen as a Slum Tour, which I at first found disturbing in its suggested voyeurism and exploitation, makes me feel uncomfortable. But actually, the harsh reality is that the tourist business, in exposing “other” ways of life, exploits them in their “otherness” for commercial gain. 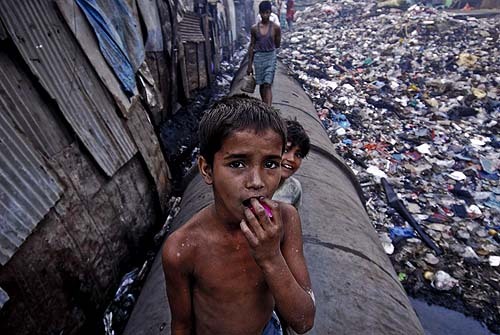 Yes, I want my trip to be educational, but visiting a slum is certainly that. I have since read in my Rough Guide about this tour, by Reality Tours and Travel in Mumbai. What Rob didn’t say is that the tour seems to focus very much on the – some would say surprising – economic prosperity of the Dharavi slum. According to the guide, the Observer called it “one of the most inspiring economic models in Asia”, and the numerous employees and factories within the slum enable it to turn over 700 million pounds per year. Many of the small businesses focus on waste recycling. This somehow makes it seem less voyeuristic than I originally suspected, particularly to those interested in international development and/or alternate ways of living. I think I would definitely be interested in taking this tour in Mumbai! I’m glad I didn’t follow my initial judgement. I can be pretty opinionated and sometimes judgemental about things and it is always a good idea to find out a bit more before forming such a concrete opinion. A really thought provoking article. I also had these feelings when I heard about Reality Tours. Although in the end the reason I didn’t go on one was more to do with a lack of time (we also tried to see Mumbai in two days) than any ideological objections. I would be interested in a follow up post addressing your experience of the tour itself if you did decide to take one.